“Natural history detective” Duncan Cameron is fascinated by wildlife and the evidence left behind of its presence. 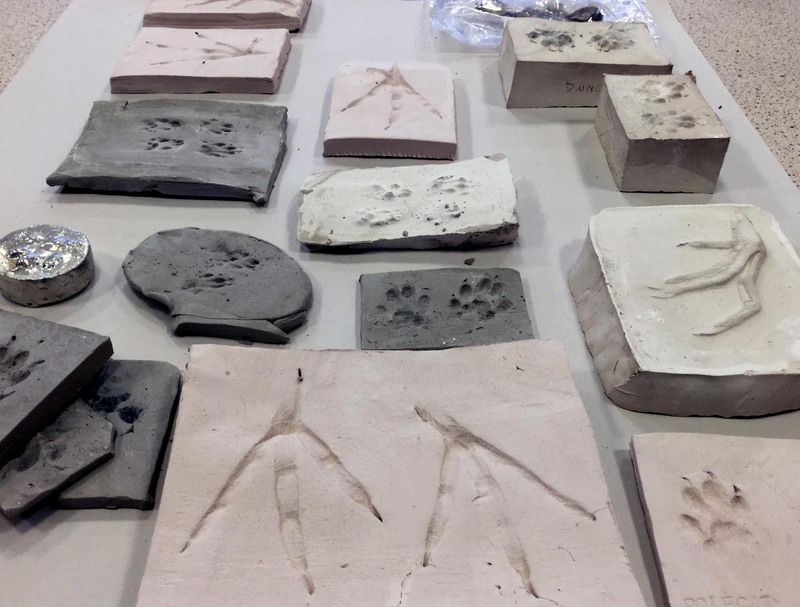 He uses a range of techniques including the casting of animal tracks, observational drawings, pressing leaves, collection and display of shells, bones, rubbings from trees, and the presentation of records and drawings – all contained and recorded within cabinets and vessels. Projects include: Solo at BRLSI, Bath; Diving with Spacex in Exeter docks; Exmoor Collection; Bristol Open City and Arnolfini dockside cabinet works. Has organised site specific art trails and worked collaboratively on large projects. Represented by Bo-Lee Gallery, London. BA/MA in Fine Art. Lectures in art at Strode College. Based in Somerset. For step in stone Duncan is mounting a series of ‘expeditions’ that will combine to develop a picture of Fairy Cave quarry. Working with collecting materials, hand-made maps, bags and cases he is recording these expeditions within the cataloguing records made as part of the work. Recording what he sees and finds here and now, this landscape captured in material form at this moment of transition. Duncan loves quarries and scuba diving. Sculptural work includes natural history collections in cabinets, display trolleys, and casting. Projects include: Solo at BRLSI, Bath; Diving with Spacex in Exeter docks; Exmoor Collection; Bristol Open City and Arnolfini dockside cabinet works. Has organised site specific art trails and worked collaboratively on large projects. Represented by Bo-Lee Gallery, London. BA/MA in Fine Art. Lectures in art at Strode College. Based in Somerset.